Producer Steve Levine shows the MS-20 mini used with the VOX Trike Fuzz and Double Deca Delay effect pedals. 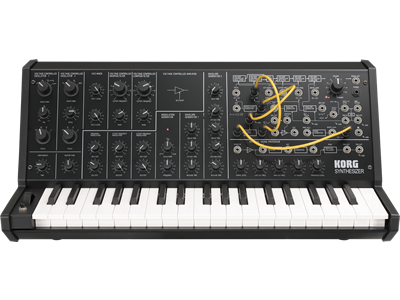 The classic MS-20 –recreated in mini size! Korg’s MS-20 monophonic synthesizer, first introduced in 1978, is still a coveted instrument to this day, thanks to its thick, robust sound, its powerful, iconic analog filter, and its versatile patching options. Over 300,000 people have enjoyed the distinct MS-20 sounds from the original, from Korg’s MS-20 plug-in synth, and the iMS-20 iPad app. Today, the sounds of the MS-20 have been reborn as the MS-20 Mini. The same engineers who developed the original MS-20 have perfectly reproduced its circuitry and fitted it into a body that’s been shrunk to 86% of the original size, yet retains the distinctive look of the original that remains unfaded despite the passage of time. The MS-20 mini will amaze you with its absolutely authentic analog synth sound. Fifty years have passed since Korg was founded, and we have once again put our hand to an analog synthesizer. We took particular care to deliver smooth parameter adjustments, which are a distinctive feature of analog synthesizers. We also took special care to completely reproduce the original specifications of the MS-20. The analog circuits we designed 35 years ago still deliver the same unbeatable, powerful sound, from the ultra-low to the ultra-high range. Read the full interview with the original developers here! 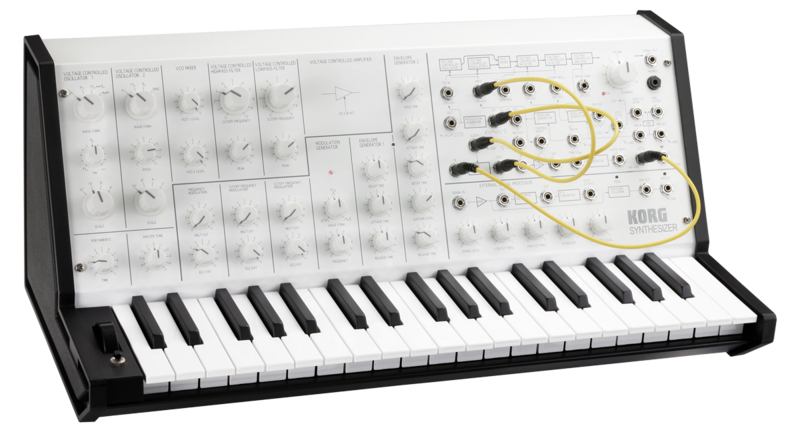 The KORG MS-20 mini is now available as a limited-edition white monotone variation model. This model is the first new color to appear in the nearly 40 years since the original unit went on sale in 1978. Based on the black that is emblematic of the MS-20's distinctive presence, this new model features a clean white monotone for its front panel and knobs, while retaining the faithful circuitry, 5-pin MIDI, and USB MIDI of the black MS-20 mini. Combining a completely new freshness together with a vintage feel that befits the MS-20 as the original semi-modular synthesizer, this limited-edition model will be a great way to add classic MS-20 sounds to any setup! 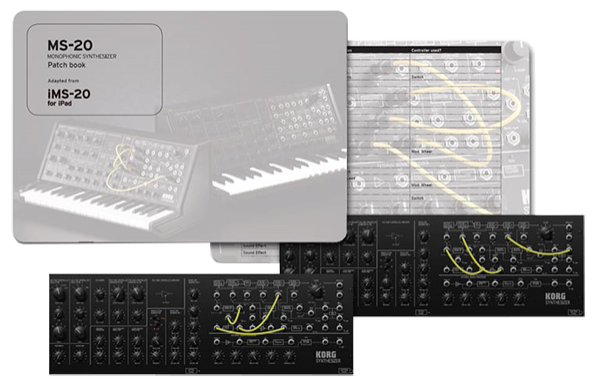 The MS-20 patch book created for all current hardware re-issues of the MS20. Unlike the original patch book created in the 1970’s, this collection is aimed at more modern music genres demonstrating the MS-20’s continuing desirability over 36 years later. The patches are derived from the KORG iOS application iMS-20 giving a nice graphical view of the MS-20 panel thus making it easier to set up these great sounds.